Hi guys, Shira Lenchewski, MS, RD here! 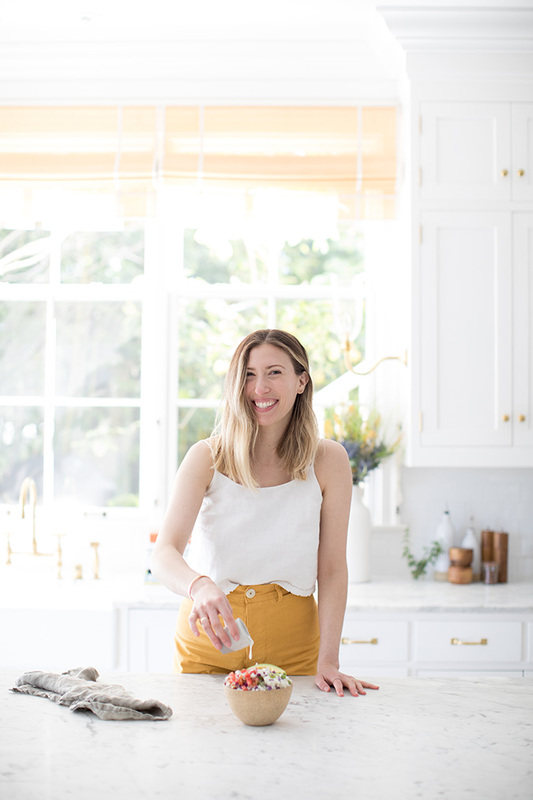 I’m a registered dietitian and the author of the new book The Food Therapist, which takes a deep look at our relationship with food and how it impacts the food choices we make on the daily. The truth is, no matter how healthy we strive to be, sometimes we unknowingly self-sabotage our own efforts. 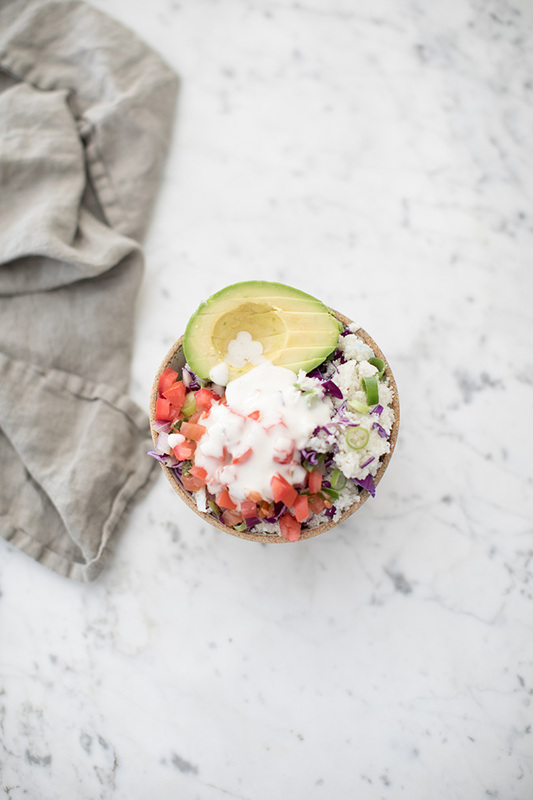 Below are my top three tips for getting out of our own way when we happen to stray from our get-healthy eating goals (because hey, this is real life, and detours happen!). Sometimes certain life scenarios make us more likely to make impulsive food choices, and it’s incredibly helpful to know what those situations are. When you happen to stray from your intended eating plan, start by taking a judgement-free look at what was going on for you. For example, some common backdrops to consider: houseguests, stressful events like breakups, finals or work disasters, and big life transitions (even happy ones, like graduating, moving in with a partner, starting a new job, etc.). 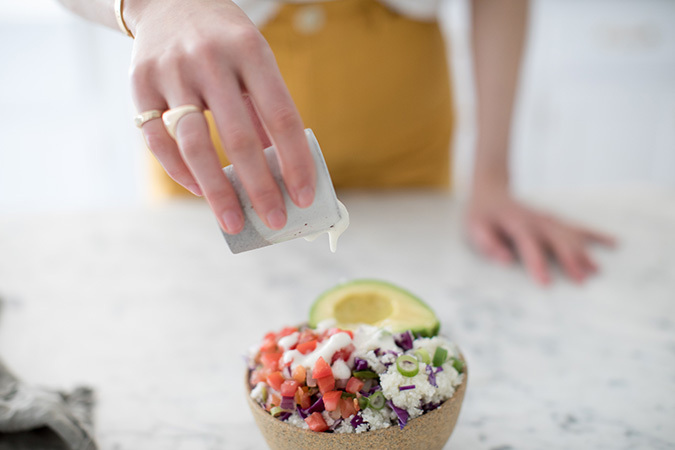 The point is, the more self-knowledge we have about what leads us to make hasty food choices in the moment, the better we can get at moving through those challenges and start planning ahead. 2. Forgive yourself. Mean it. Reframe. Move on. Your first thought is: I really shouldn’t have eaten that. Your second thought is: Well, you know what, it was delicious and I enjoyed every morsel. The best thing I can do now is avoid diving head first into shame city. Your first thought is: I’m just not good at eating healthfully. Your second thought is: Hold up. I’ve been putting so much more thought into my food choices than I used to. It’s still not easy, and there’s definitely room for improvement, but I’m getting better at this. Your first thought is: Ugh, why did I have to mess up my progress like that?! Your second thought is: Honestly, I may have been getting a little too rigid; now I know that I’ve got to give myself more wiggle room so I don’t get the urge to straight-up revolt. 3. Come up with an if/then plan. Once you understand which specific situations and factors make you more vulnerable to noshing impulsively, you can plan for them in advance. I’m talking about an if/then game plan (aka an implementation intention, a fancy phrase for an effective self-regulatory strategy) that lets you map out your approach to handling potential roadblocks that tend to trip you up. The basic idea is to come up with tactics for “If this happens (no biggie), then I’ll do this” senarios—it’s like having a designated Plan B for when things go amiss, so the detour doesn’t stop you in your tracks. For example, if you found it challenging to eat healthfully during the holidays this year, you could decide to give yourself a bit more wiggle room next year while still doing your best to make conscious food choices; and if you find yourself not feeling so balanced come January, then you might plan to get on a sustainable and doable program to reboot (like Phase 1 of my plan, for example). No guilt, no questions asked. That’s your if/then game plan. Ironically, having it in place ahead of time takes some serious pressure off self-control, which can actually help you better regulate your behavior. Remember, the goal isn’t to make sure you never veer off your desired eating path; it’s to forgive yourself for taking a step back so you can take another step forward. Sure, feeling like you’ve backpedaled after all your hard work is especially frustrating, but hey, it happens. Seriously. So, cut your losses: Forgive yourself, so you can move on. The point is, when you approach diet detours rationally and compassionately, rather than spinning your wheels with self-inflicted shame, you can focus your energy on turning all that valuable self-knowledge into a useful road map for the future, and that’s what it’s all about. For more food relationship realness, check out The Food Therapist! How do you stick to your healthy eating goals?